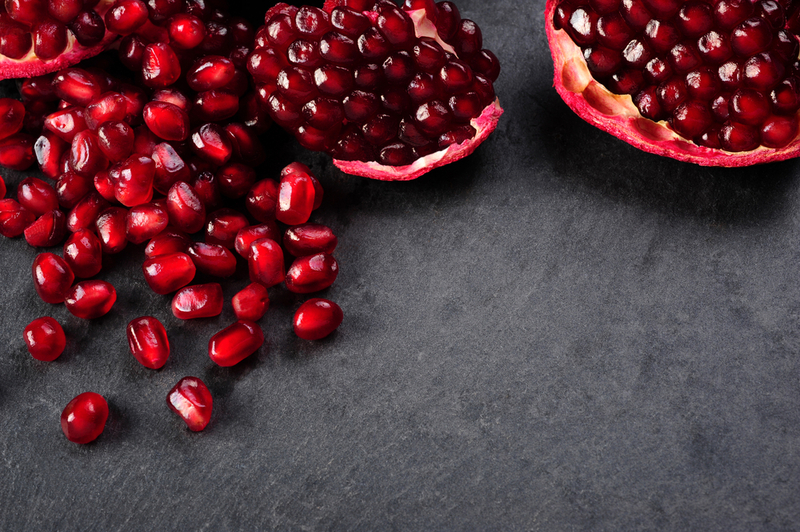 In a recent study, researchers show how a natural antioxidant within pomegranate seeds is capable of inhibiting demyelination in a mouse model for multiple sclerosis (MS), supporting novel formulations of natural antioxidants as therapeutics for demyelinating diseases. The study, “Treatment of a multiple sclerosis animal model by a novel nano drop formulation of a natural antioxidant,” was published in the International Journal of Nanomedicine. The team of researchers began by administering to mice — induced for experimental autoimmune encephalomyelitis (EAE), an established model for human MS — a nano droplet formulation of pomegranate seed oil (PSO) that they named Nano-PSO. In a previous study the team showed that Nano-PSO could significantly reduce brain lipids oxidation in a mouse model of prion disease (prion diseases, also known as transmissible spongiform encephalopathies, are a family of rare progressive neurodegenerative disorders). Although primarily considered an autoimmune disease, MS and EAE demyelination of nerve cells is also thought to occur as a result of a neurodegenerative process — most importantly, MS brain proteins and lipids are oxidized. In fact, oxidative stress is a common pathological feature of neurodegenerative diseases. PSO contains what is thought to be one of the strongest natural antioxidants, a polyunsaturated fatty acid named punicic acid (PA). Administering PSO as an oil-in-water nanoemulsion is believed to increase both its bioavailability and activity. Study results revealed that the administration of PSO with high levels of PA is beneficial for EAE mice. The oil, when delivered to mice in its natural form, was beneficial only at very high dosages; in contrast, when 1% of PSO was delivered as emulsified nano droplets, or Nano-PSO, the clinical benefits were significantly enhanced. The benefits were visible when Nano-PSO was given to mice at the time the disease was induced, and again when EAE mice start to develop disease symptoms (day 7). These results suggest that Nano-PSO has a therapeutic potential both for preventing the disease and for impairing its progression. Moreover, the Nano-PSO inhibited demyelination and lipid oxidation in the brains of EAE mice that had already presented an established infiltration of immune cells, suggesting that oxidized lipids play a role in the demyelination process. These findings further support the generation of natural antioxidants such1 as Nano-PSO as therapeutics for demyelinating diseases, including MS.